Hello, My Fellow Lego Community! I need your help. 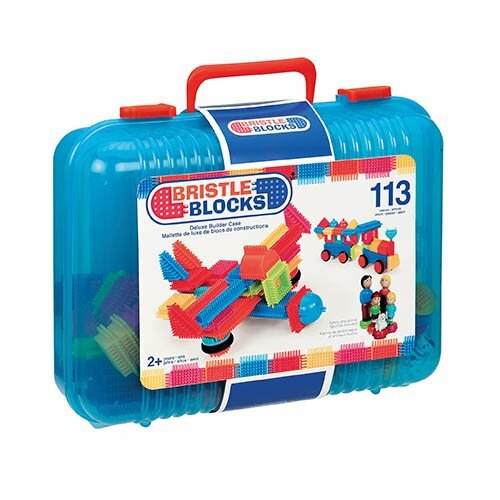 I have searched the web, but have been unsuccessful in finding a classic Lego carrying case. It had a hard red plastic cover with a thin gray flappable plastic handle, and two gray plastic sliding "knobs" (not really knobs because they did not turn, only slide). It resembled a briefcase but was designed to hold Lego's. I got it back in the early 90's and someone recently discarded the only one I had. I contacted Lego's directly and they had no idea what I was referring to. They sent me samples of the same red cases you can find on eBay and sites alike...if it doesn't have a gray plastic handle, then it's probably not it. Does ANYBODY know, remember, or have the case I am referring to? Thank you for your help. Any feedback is much appreciated. In your place I'd look through the 'gear' section of Bricklink catalogue, see if you can find a match. Failing that, I know some old Technic sets came with that sort of thing, maybe, I don't remember exactly. Thank you for your message. Unfortunately, that's the same one the Lego's rep sent me. The identifying feature is the gray flappable handle. It must have been a limited edition or only a small supply printed because this is mind boggling. This is not a perfect example, but this lunch box is similar to the design of the brief case. to the forums btw Marc. firstly what region are you in. IF your in North america, then it May have been something Samsonite added as they were not above adding sets/gear etc especially in the 80;s/90's when they were the distributor on this side of the pond. given nothing listed in bricklink seems to match what your describing, it may well of been a rare country exclusive item. might need to bring the forums resident "history" guru in on this conundrum. Yes, I am in North America and I never thought of that. Great point, thank you. Very helpful. The key comment to the Original Posters description was "flappable handle". None of the Samsonite carrying cases (made in either red or blue from 1966-71) had a flappable handle... they were all non-moving handles. Just want to say I appreciate all your help, guys!! This is what I call honorable at its finest. I'm going to buy the blue one from the other company as it's the closest I could find, but thank you so much for all your help regarding this matter. You guys are amazing!